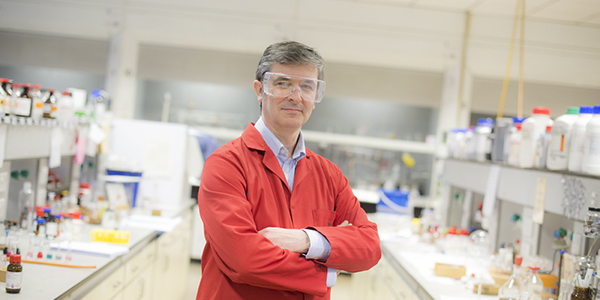 Neil Champness, Professor of Chemical Nanoscience, has been awarded a £1.5m Established Career Fellowship by the Engineering and Physical Sciences Research Council (EPSRC). EPSRC fellowships support exceptional individuals who are delivering the highest quality research to meet UK and global priorities. The award to Professor Champness recognises his world-leading research into molecular structures and will support the development of a new approach using crystals of materials known as metal-organic frameworks, or MOFs. 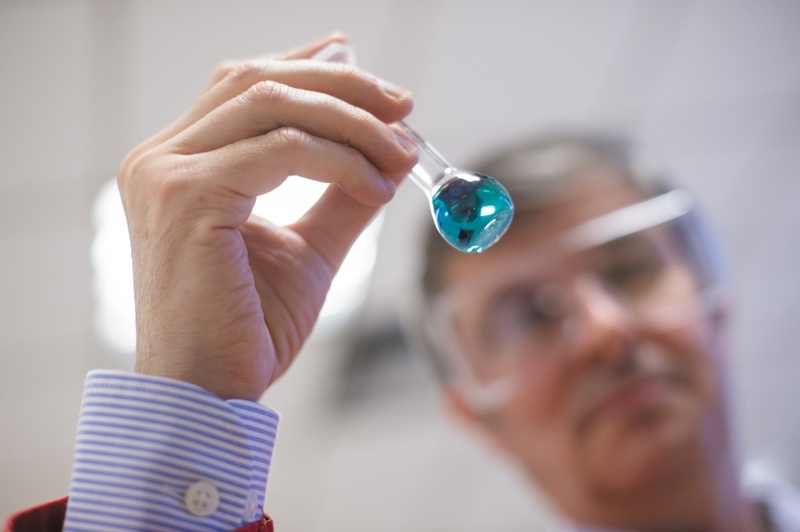 Professor Champness, of the School of Chemistry, focuses on designing molecules that will interact with one another and combine to make new materials and processes. Professor Champness uses single crystal X-ray diffraction to determine the structure of molecules and biological systems. However, the technique relies upon the ability to grow crystals made up of many billions of these target molecules. It is not always possible to obtain crystals of some molecular species, for example if a compound is highly reactive, produced in small quantities or simply does not adopt the well-ordered arrangements required for crystals to grow. Professor Champness is developing MOFs in response to this challenge. MOFs provide an already crystalline structure that can act to trap target molecules and generate a crystalline array of the target. He said: “The ability to understand any chemical process relies primarily on an accurate picture of the structure of molecules. Through an understanding of the structure and arrangement of the atoms within a molecule we can try to understand why a chemical reaction takes place or why a molecule displays particular properties. Professor Champness’ research group has over the past 20 years forged a world-leading reputation for using MOFs to determine the structure of other molecules. This EPSRC-funded project will help his team develop a method that takes ‘snapshots’ of complex molecular reactions. Professor Champness’ approach uses Metal-organic frameworks to provide ordered structural arrangements of molecular building-blocks, that can then undergo reactions without losing their crystallinity. By controlling which molecules are introduced, reactions can be ‘trapped’ within the framework, giving new insights into structures and processes. The EPSRC Established Career Fellowship will allow Professor Champness to strengthen the University’s collaboration with our partners at the University of Adelaide, Professor Christian Doonan and Professor Chris Sumby. The fellowship will also allow Nottingham to develop new collaborations with the Universities of Texas at Austin and Bern in addressing specific, exciting challenges in the field.